Bitumen has remarkable chemical and mechanical properties as a construction and insulating material. 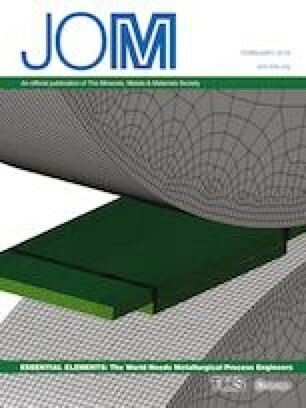 In this research, bitumen reinforced with polythiophene, which is doped with Fe3O4 nanoparticles, was produced by the vacuum shock technique. Samples were prepared at various filler loadings to investigate their rheological and mechanical properties. Characteristics of the samples were evaluated using a dynamic shear rheometer and various empirical rheological tests including the softening point, penetration, and reversibility. The results indicated that the synthesized nanoparticles have good compatibility and interaction with the molten phase of bitumen. On the other hand, modification of bitumen has led to significant improvement in the compound shear modulus and resistance against deformation, while it has hindered fatigue damage and improved the softening point, penetration, and reversibility. The online version of this article ( https://doi.org/10.1007/s11837-018-3215-3) contains supplementary material, which is available to authorized users.